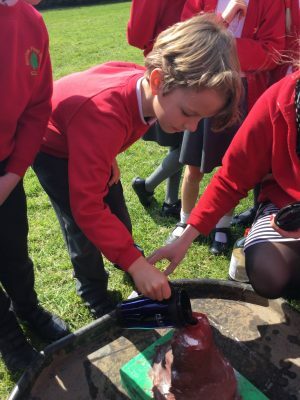 Today the children started a new project. 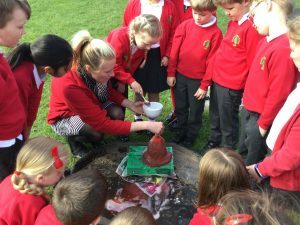 Linking to their topic of Italy, the children became History Detectives and Volcanologists as they carried out research using the iPads and information books into volcanoes and the Italian city of Pompeii. They drew diagrams of a cross section of a volcano to help them understand what happens during an eruption and also studied and compared photos of modern day Pompeii and paintings of Mount Vesuvius erupting in 79AD. 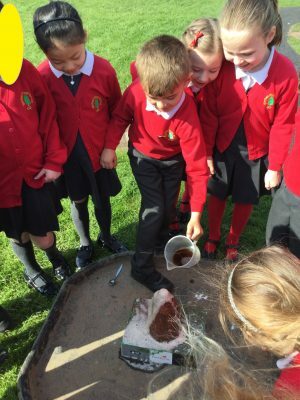 We discussed these different sources of information and how they can be used to help us find out about the past. 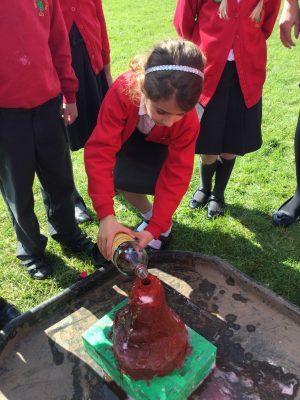 Continuing into the afternoon, the children began the first stage of making their own volcano models. 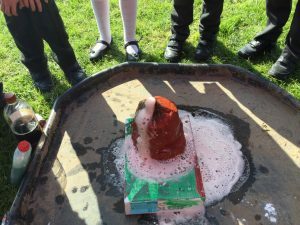 Each group worked collaboratively to fix their bottle structure into place and begin forming the shape of their volcano using newspaper. 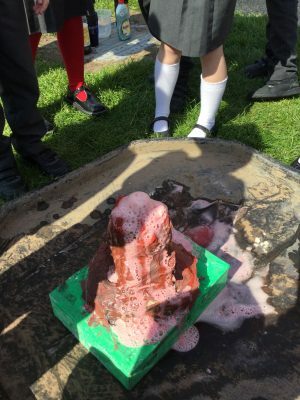 Throughout the week the children will learn more about volcanoes and continue to create their models…with an explosive end to the week on Friday..!